Lamar Tool & Die Casting offers various CNC Machining capabilities to perform complete and complex machining to your Die Cast part. Lamar Tool & Die Casting, Inc. offers various CNC Machining capabilities to perform complete and complex machining to your Die Cast part. 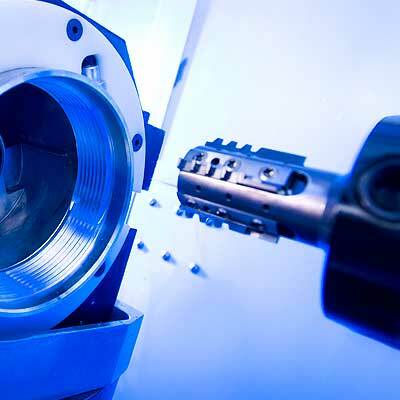 Our experienced Tool & Die Engineers work closely with our clients to design and build machining fixtures that meet the requirements of the machining application. Lamar Tool & Die Casting, Inc. has Vertical, Horizontal and Turning Machining Centers. Our CNC Machining capabilities include high-speed drilling and tapping, milling, facing, thread milling and boring to name a few. Equipped with high speed pallet shuttle systems, cycle times are greatly reduced, allowing us to offer competitive part prices.